I received my Sephora Friends & Family order about two weeks ago and I have been playing around with the products I bought ever since. I thought it might be helpful to some of you if I let you know my initial impressions. I'll call these "mini" reviews. I am still testing things out and deciding if I will re-purchase certain items and keep them as staples in my beauty aresenal or if I can live without them. 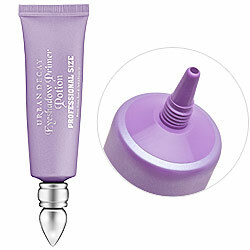 First up, a total must-have in my beauty drawer: Urban Decay Primer Potion. I fell in love with this eyeshadow primer about two years ago and I have re-purchased it several times now. The one complaint many have about the product is the packaging. The little genie type tube is cute, but the wand applicator can be difficult to maneuver all the way down the tube. Enter UDPP Pro, which comes in a massive sqeeze tube and will hopefully last me eons. So far, so good! Same wonderful product that keeps my oily lids from sabotaging my shadow throughout the day. My only concern is that it will dry up before I get a chance to use every last drop. Oh, and it's limited edition for some unknown reason. 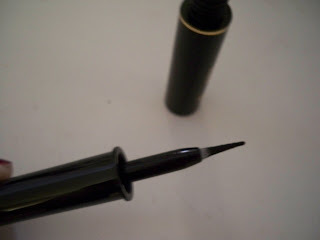 I have to rave about the next product, Lancome's ArtLiner. Let me preface this by saying that I am a mess with liquid liner. I blink and the next thing I know I look like Tammy Faye. I don't mean to be rude, but you get the picture. I remember when I was in the midst of my Lauren Conrad obsession, I tried and tried to recreate her gorgeous subtle cat-eye. I failed miserably each try. I wish I had known about ArtLiner sooner. The wand offers so much control and the liquid applies so smoothly and evenly. I have been wearing this constantly on my upper lash line and I have received many compliments on how thick my lashes look (something I have never been told before!) I know it's because of this liner. 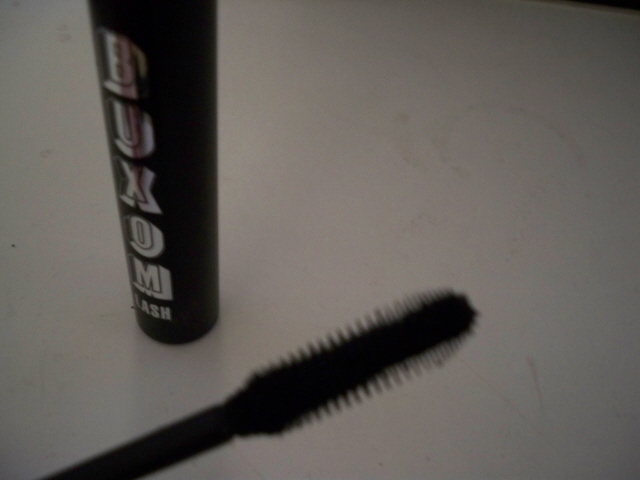 I also ordered Bare Escentuals Buxom mascara and I am still on the fence about it. I love the plastic wand. Plastic wands are my favorite because I feel they grab my lashes a lot better than typical mascara wands. The only thing is, I still would take my Holy Grail CoverGirl LashBlast over this, and LashBlast is half the price! I do like Buxom, but I don't know if I'll be re-purchasing it once I run out. It just doesn't live up to it's name. It does thicken, but you have to apply several coats to get the full effect. Maybe once the formula dries out a bit I will appreciate it more. Have any of you tried Buxom? What are your thoughts? The last thing I purchased from the sale is a tube of Smith's Rosebud Salve. 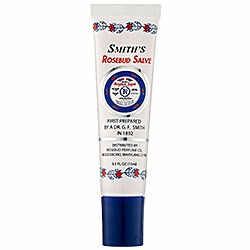 When I was in high school, the first thing I ever bought from Sephora was Smith's Rosebud in a tin. First Sephora purchase ever! I think I just bought this again purely for nostalgia. I love that it smells like roses. I love that it's in a tube so I can carry it in my bag and whip it out whenever. But I personally don't think it's all that moisturizing and the formula is incredibly thin. 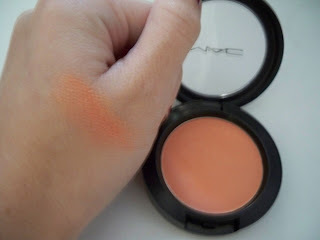 I have to include a couple of swatches of my new MAC blushes. I am in love with both colors and have them on rotation - one day I use Pink Swoon, the next My Highland Honey. They look very bright in their pans but apply a lot more sheerly. Of course, they can also be built up to intensity very easily if that's what your going for. I have lighter skin these days and I think both colors could work on lighter skin like mine as well as darker skin tones. I also like the fact that they are pretty matte and not shimmery at all. I hope this was somewhat useful! If you have any questions about anything, please let me know. Happy Friday ! I must purchase that Lancome liquid liner. I have been wanting to try some forever, but am a little scared. I completely agree with you on the Buxom Lash. It is kinda wet and I never really liked it. It really didn't have much staying power, by way of keeping my eyelashes curled, unlike LashBlast-omg, love that stuff. I also agree with you about the Rosebud salve. I love the tin and the way it smells, but it really has no lasting power. It would even make my lipstick more likely to wipe off during the day. Great tip on the art liner, I will have to remember that! Great stuff you got there. I'm loving the blushes, great colors. Nice stuff there. Lancome Artliner looks good...kinda like Loreal Super liner, which is damn easy to apply with. 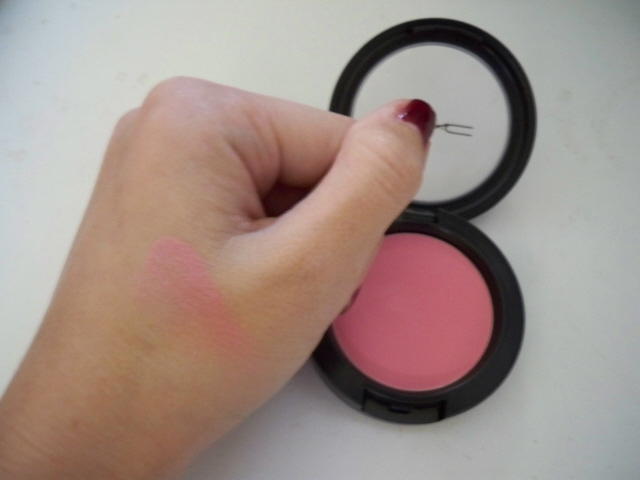 I bet that MAC Pink Swoon blush looks fabulous on your skin tone! Amy: I've never tried a Revlon liquid liner before. The Lancome is pricey, but I think it's worth it to splurge and try something new. Ness: Yes, the mascara needs a better formula. It is too wet! Maybe I'll like it better in a couple more weeks ;) The Salve is nice to have, but definitely not as good as a lot of other lip balms out there. Andi: A little liner on the top lashes makes a huge difference! Cynthia: The L'oreal Super Liner must be like the Lineur Intense here in the states. I've heard great things about that as well! Ashley: Awww, thank you. I'm sure it would look great on many skin tones! I've heard that the Kardashians love it, and they have much deeper, more beautiful skin than mine! Marie: Let me know if you do and how you like it. I know it looks super bright and orange, but just use a lighter hand and it's so pretty! I always stayed away from bright colors but now I'm a little more brave. Awesome haul...Like the stuff!! Those blushes are lovely...Nice blog honey!! I love that liner..my Mom bought me that in hs and it was so easy to use..I kind of forgot about it..I think I'll have to go get one now! Love pink swoon! That peachy one looks really pretty too! Communicatingbeauty: I hear ya! I agree, and so do many others! It's a great product, but the sqeeze tube is so much easier and much more efficient. Are you listening Urban Decay?! Wow, you've made me want to try the Artliner. I'm always on the lookout for new ways to make my lashes look thicker :). I also read some of your older posts - we share the same goal of one day owning a Chanel bag, lol. Hope you had a good day! Crystal: I think you would really like it!